Published in association with the Society for Vascular Surgery, Rutherford’s Vascular Surgery presents state-of-the-art updates on all aspects of vascular health care. 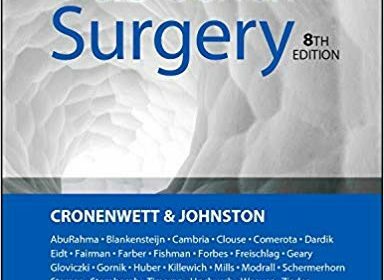 Extensively revised by many new authors to meet the needs of surgeons, interventionalists, and vascular medicine specialists, this medical reference book incorporates medical, endovascular and surgical treatment, as well as diagnostic techniques, decision making and fundamental vascular biology. Master the latest developments, techniques, and approaches with thorough updates on endovascular applications, vascular access, imaging, non-operative management, and much more. View clinical and physical findings and operative techniques more vividly with a full-color layout and images. Get answers you can depend on. Rutherford’s delivers the world’s most trusted information on all major areas of vascular health care, is written by international experts, and includes up-to-date bibliographies and annotated recommended references. Discover emerging techniques in rapidly advancing topics, with special emphasis on endovascular coverage, vascular imaging, angiography, CT and MRI. Explore brand new chapters on dialysis catheters, renovascular disease, and management of branches during endovascular aneurysm. Stay up-to-date with the latest coverage of endovascular procedures that reflects the changing practices and techniques in vascular surgery. Access the entire text, videos, regular online updates, self-assessment questions, links to Pub Med abstracts, and more online at Expert Consult.